Dry powder: These are two words that worry private equity firms. There continues to be much unused cash in the industry, and with increased pressure from limited partners, firms are under duress to find means to spend it in the right ways. Private equity firms face a difficult situation—“a market of two extremes,” as my colleague put it. On one side there are great companies with expensive price tags, thanks to strategic buyers with deep pockets. On the other are poorly managed and feeble companies with bargain-bin prices to match. The cost to fix all of the shortcomings in the latter group almost always outweighs the financial benefits, so PE firms are stuck at a crossroads. This is where the startup world comes in. We are seeing the rise of more structured, well-rounded startup founders piecing together teams and business models for companies addressing significant issues within their respective industries. Moreover, private equity firms as large as TPG and as small as Stripes Group—and even big hedge funds like Tiger Global and David Einhorn’s Greenlight Capital—are putting their dry powder to work. Venture capital firms are also building growth equity shops internally. From Spark Capital raising $375 million and Greycroft Partners (with private equity ties, specifically Apax Partners) raising $200 million, to Google starting a middle-market private equity shop in Google Capital, what was once a ripe opportunity for PE—using VC firms as a “farm system” for deal flow, a strategy we’re using at Brand Foundry—is starting to look bleak. There are currently two problems: First, there still seems to be a sense of trivializing among private equity executives; many scoffed at the startup world but heralded some of its most successful companies, including Warby Parker, Airbnb and Uber, to name a few. Second, there isn’t any true playbook for private equity investors to follow in terms of how to build relationships with startups. As someone who’s made the jump from PE to the venture capital world, and who sees a lot going on in the startup industry, here are some tips for PE shops that want to enter the startup realm. Stick To Your Guns, Sector-Wise. The first error I’ve seen firms make is chasing an already-hot startup. It’s not a terrible decision, but by investing in later rounds of financing, investors get significantly smaller stakes than they would earlier—thanks to high valuations and thus lower-than-desired returns. Investing in the early stages, or even building relationships in the beginning, pays dividends; from personal experience, startup teams have come to us at Brand Foundry in early and later stages with favorable valuations and terms because they see what we bring to the table. Even if you’re a generalist PE firm, focus on one or two sectors where your shop has succeeded the most, whether it’s consumer, financial services, health care, enterprise, etc. Top Floor (Network) Digging… Firms should tap into their close-knit network—portfolio companies and PE colleagues—to find out what they’re seeing in the startup community. The management teams of your firm’s portfolio are more tapped into what’s going on in this world than deal teams will ever be. Stay abreast of what they’re seeing—it can lead to a professional connection or even a personal one. If you’re a private equity firm reading this, I’m more than happy to help. Feel free to e-mail me. …and Bottom Floor (Meetup) Mingling. Meetup, arguably the most prominent website dedicated to finding great events by category, is a phenomenal place to do some on-the-ground startup sourcing. Firms should send their VP-level and below colleagues to as many tech- and/or sector-related Meetups as they can. I subscribe to over 100 Meetups for tech and startups alone, and my firm only focuses on the consumer sector! A Two-Way Relationship. How can a private equity firm demonstrate its benefit to startups? When a firm targets a startup and wants to engage in discussions with the team, it is beyond important to pitch the operational expertise you bring to the table, whether it’s through your advisers, operating partners or brand recognition within the portfolio. Always treat every conversation as a reverse pitch. Start Something On Your Own, Fund-Wise. One private equity firm I spoke with recently built a venture capital fund in the guise of a shell company, aiming to use the $10 million fund to invest $100,000 to $200,000 in startups. Part of the plan was to help grow these companies to a level where the firm could make PE-style deals within its criteria—although it was not a given that startup investments made through this shell company would make the cut for the firm’s official fund. I thought it was a brilliant idea because it helped decrease the firm’s dry powder and build its reputation among startups while impressing its investors. Be Helpful—and Show How Helpful You Can Be. Startups and venture capitalists lack a full understanding of private equity thanks to a still-limited education effort. Every single firm looking into early-stage investments has to know, above everything else, it is starting from scratch on educating startup founders—not just about the company and its reputation, but also about the private equity industry as a whole. There are many private equity firms with powerful networks, resources and reputations for building companies into powerful institutions. It’s a scary bridge for PE firms to cross because the investment thesis focuses more on the team and its roadmap (the future) and less on its numerical results (the present); however, there are great men and women who need help to grow their startups into the next strongholds of their sectors. Private equity can help them advance and grow, becoming financially successful in turn. Sumeet Shah is a senior associate with Brand Foundry Ventures, an early-stage venture capital firm focused in the consumer sector. 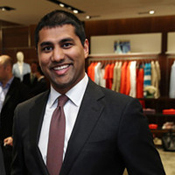 He previously worked in and covered the private equity industry at Gotham Consulting Partners for five years. Follow Sumeet on Twitter @PE_Feeds.